2. You don't say where he married in 1919 - was it in Michigan, Canada, or England. If in Ontario Canada, marriage records for 1919 are available on Ancestry.com If he married in Michigan, marriages for that year are available on Ancestry.com (images) and on FamilySearch (index only). Lastly if he married in England you should check FreeBMD. 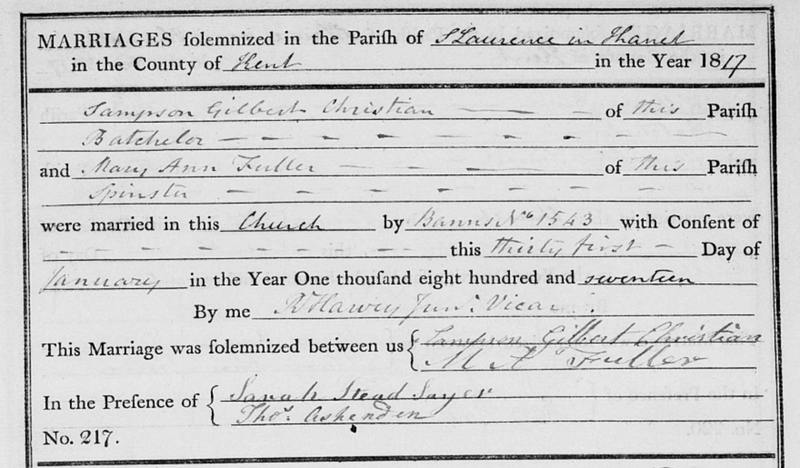 Today I had an interesting genealogy find ...my son's 5th great-grandfather's sister Sarah Stead was a witness at my son's wife 's 4th great-grandmother's marriage in 1817 in Ramsgate, Kent, England. Since my daughter-in-law's 4th great grandma was a Fuller born in Ramsgate and we descend from a line of Fuller in Ramsgate back to the 1700s, it would not surprise me if eventually I find that my son and his wife are "cousins"
Believe it or not, this is not unusual. 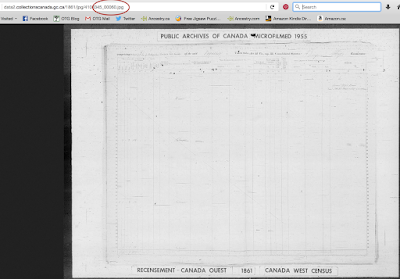 I use FTM for my preferred Genealogy program. One day out of sheer boredom I ran a kinship report and was shocked to learn that my father was also my cousin. I was stunned. And confused. I knew what once removed meant - that we were a generation apart. Okay so far. Being 8th cousins meant we shared a common 7th great-grandparent. Being 9th cousins meant we shared a common 8th great-grandparent, and so on. "husband of my 5th cousin once removed"? Well that meant my mother was my 5th cousin once removed and that she and I shared a common 4th great grandparent. It wasn't making sense to me, as of course my parents and I share common ancestors! But how did we get to be cousins as well as father-daughter? This sent me off to have a good look at how my relationship to my father became a cousin relationship too. 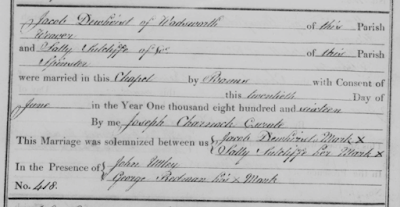 It's a bit confusing but here is how it happened beginning with my father's 3rd great grandparents, Cornelius Vollick and Eve Larroway who married in 1795. Cornelius and Eve shared two sets of common 2nd great grandparents. That is, Cornelius' great great grandparents were Jochem & Eva (Vrooman) Van Valkenburg. So were Eve's. Cornelius' other set of great great grandparents were Pierre & Cornelia (Damen) Uzielle. So were Eve's. Two of Jochem & Eva's grandchildren (through their son Isaac and daughter Jannetje) married two grandchildren of Pierre Uziele and Cornelia Damen. The Van Valkenburg grandchildren were Isaac Van Valkenburg (who married Maria Bradt the daughter of Storm Bradt and Sophia Uziele) and Marytje Van Alstyne who married Petrus LeRoy the son of Maria Uziele (who was Sophia's sister!) and Leonard Le Roy. I'll go into my mother's line and that tangled web of cousinship on another day. 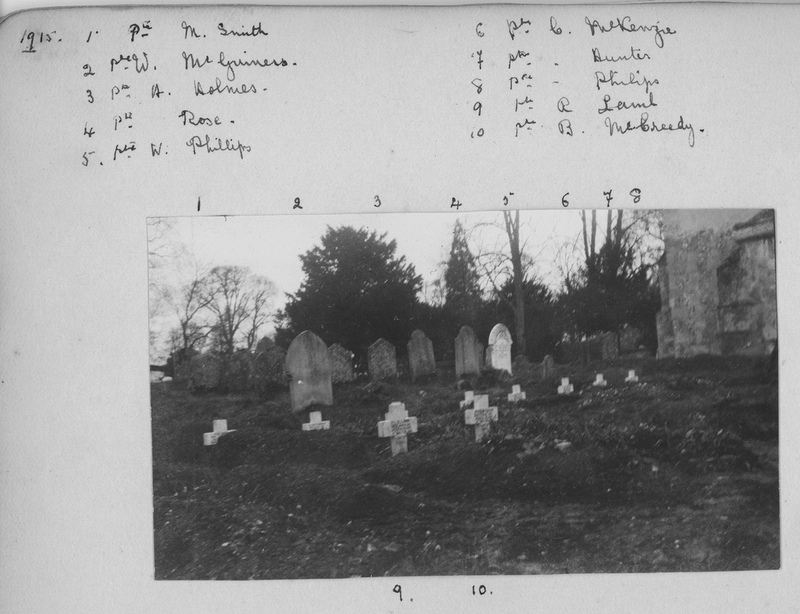 A search of the 1921 census for St. Mary's finds Hugh Finch age 60, wife Mary age 48 and daughter Ethel 27 years old, along with son William 19 and daughter Irma age 10 . 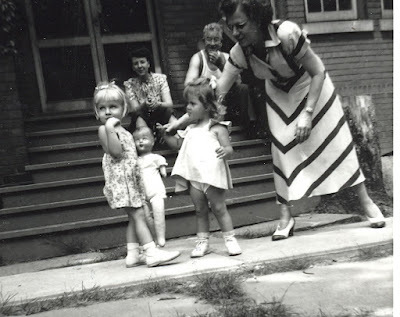 Based on the appearance of Hugh and Mary in this photo, and their clothing, I am fairly certain this photo was taken in the mid 1920s which means the young girl identified as Ethel cannot be correct. I suspect this is their daughter Irma who is age 10 in the 1921 census. 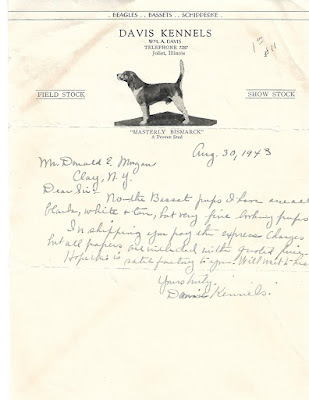 This is another rescued document from Davis Kennels in Joliet Illinois to Donald E. Morgan of Clay New York dated August 30, 1943. Davis Kennels (Wm. A. Davis) is informing Mr. Morgan about their black, white, and tan Bassett pups. Just published! My latest book in my New Netherland setttlers series - on the Vrooman family of New York. 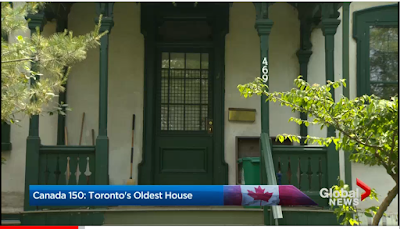 George Wormald had no idea when he went to work on June 10, 1895 that would be his last day on earth. George was 38 years old, a miner in the Aldwarke Main Colliery in Yorkshire, and the father of eight children ages 2 to 15. Early that morning, George kissed his wife and children goodbye and headed off for what he thought would be just another day working with coal. Having worked in the mines for 19 years, George was well aware of the dangers and knew how to keep himself safe. Early that morning George placed his lunch and his extra clothing in his usual spot, then realized he needed a piece of chalk to mark his tubs. 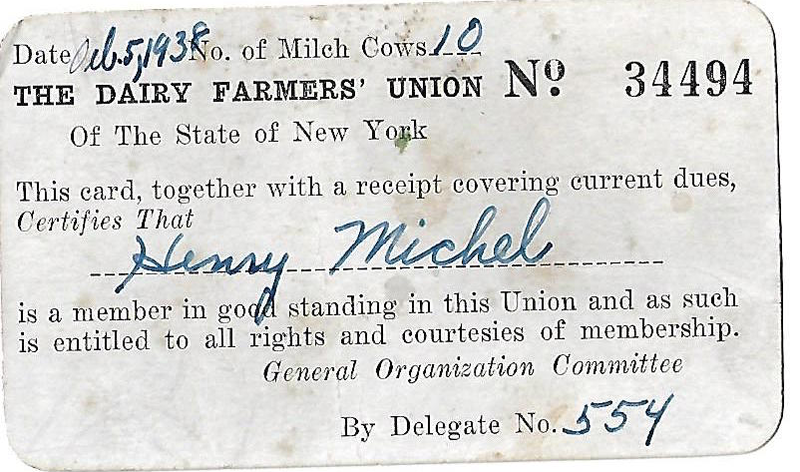 It was 9 a.m. when George approached a workmate, William Banks to ask if he had any extra. 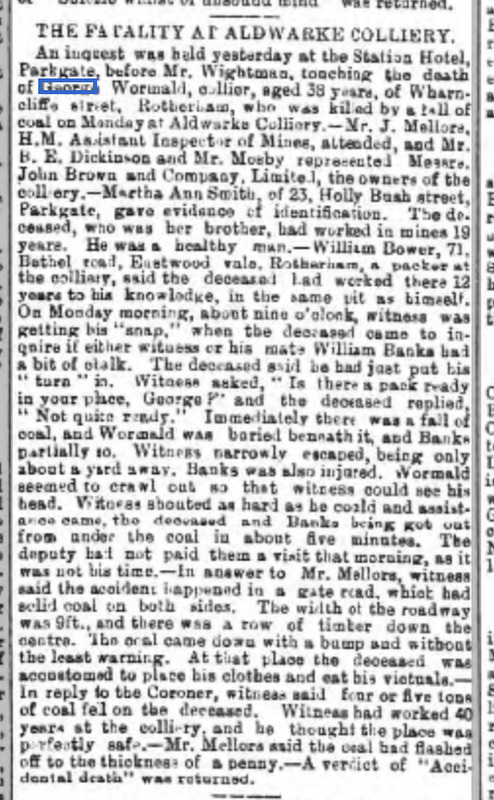 Without warning a roof above them collapsed and almost 5 tons of coal fell on the men. George was able to crawl out far enough to get his head out from under the rocks and the other workers were able to dig both men out within a few minutes. William suffered a broken leg but George died a few minutes after being rushed to the local doctor, crushed by the weight of the coal. George was my son's 2nd great-grandfather. Kate Wormald, daughter of George and my son's great-grandmother. She was 11 years old when her father was killed. 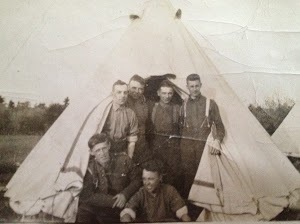 This is a lovely casual outdoor photo probably taken in the early 1920s at William Facey's farm. William aka Will (1884-1958) was the brother of Mary Louise Facey Elgie. He was married to Edith Wiseman and we see the name Edith on the reverse of the photo. On the reverse we find identifications but it is challenging to know what names go with what individual. "Reading this book was like curling up on the couch with a good friend." Shani M.
"...some surprising twists enhanced the story line and offered some surprises. It should be noted that even a non genealogist would enjoy this mystery. 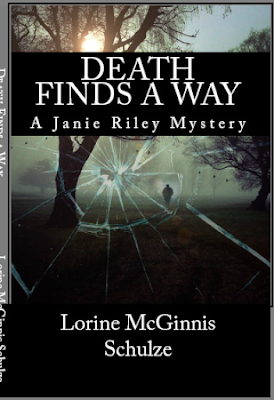 Lorine McGinnis Schulze has produced a great first time mystery book and I am looking forward to future Janie Riley stories." Dianne S.
"Being a genealogist and knowing many of the things talked about and places visited made reading this book a lot of fun. Can't wait for the next one to come out!! " 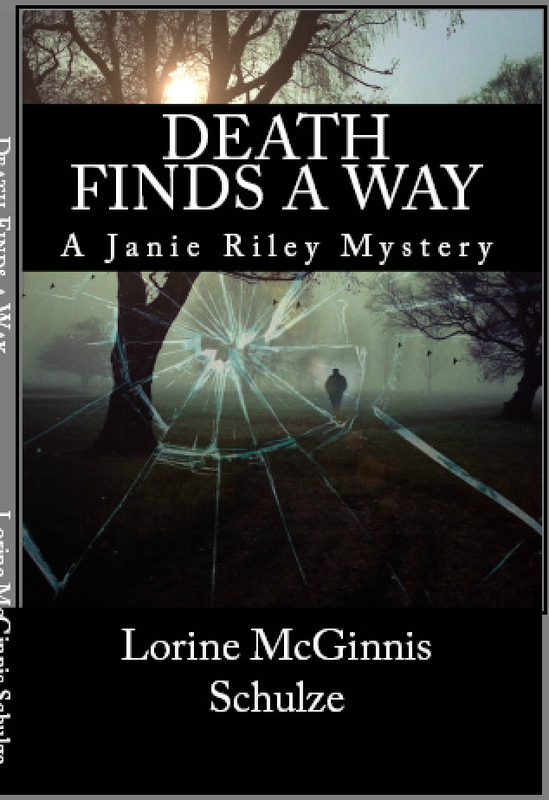 Cathy N.
"I loved this book and couldn't put it down!" The passage had not been an easy one. Joey had been ill for most of the voyage across the Atlantic. They were both happy to be on deck where the smell of salt air filled their nostrils. Being stuck below in steerage was miserable. Katie wasn’t sure she would ever get the smell of urine, vomit, and other body waste out of her nostrils. Babies with colic screamed long into the night, hungry children cried for hours, and passengers who were sick moaned and retched with horrible gagging noises. Women cried out in fear on hearing the ship groan and creak as its wooden hull protested with every wave that hit. Katie had taken to wrapping her cloak around her ears at night so that the dreadful sounds were muffled. She shivered again, partially from the cold and partially from nerves. They were starting a new life in a foreign country. She remembered vividly the day Joey came in from the fields and she had to tell him that their beloved ma was gone. Pa had died of the fever just a few months before and their ma had followed not long after. Now here they were here in a city where they knew no one. Joey had a few pounds to see them through until they could find work but Katie was terrified it would not be enough. She hoped that the emigration agent had been telling the truth when he said jobs were there for the taking in New York City. She prayed she could find a position as a maid or downstairs kitchen girl in a good home, while Joey figured that with his strong muscles and young back he’d work on the docks or help in a stable. He was good with horses and even though he was only 18, no one knew more about gentling or taming a horse than he did. The cool wind had reddened Katie’s cheeks and they felt numb. She was glad the bad weather had finally lifted and she had something to look at besides waves and gray water. The sun was just coming up and Katie imagined she could feel a slight warmth from it already. She could hear the cries of gulls overhead, this sign of land bringing comfort to her. Joey nudged her. “Katie, look! I think we’re coming into the harbor.” He pointed to an island on one side, mainland on the other and the narrowing gap of water between them. Their excitement, coupled with apprehension, built. What would happen now? How long would it take to get off the ship, find their baggage, and get on their way? But on their way where? Katie reminded herself that they did not have a place to stay or employment waiting for them. She saw that they were heading to the island and soon they were anchored. Passengers were told to gather on the deck while officials undertook a quick inspection of their hair and mouths. Joey whispered that these were Health Inspectors checking for disease. Anyone who was found in an unhealthy state would be kept in quarantine. An hour later, the inspection was over and a few sobbing women and young children had been taken away. Katie silently said a grateful thank you for not being one of those rejected. The ship was once again heading away from the island and Katie could see a large circular building up ahead. When the ship anchored, other officials came on board and began checking each passenger’s baggage. More hours passed and Katie felt faint from hunger. The bit of bread and meat she’d eaten at last night’s supper was gone from her stomach, and it was now long past their usual breakfast time. Joey kept reassuring her that they were fine, it was almost over and soon they’d be on their way but she was beginning to doubt it. With trembling hands, Katie stuffed the money into the pocket of her full skirt, where it nestled beside the embroidered hanky her ma had given her for her last birthday. “Joey, I’m scared!” Katie’s voice shook slightly. Visit my author website for details of my upcoming book in this series - "A Grave Secret"
is a member in good standing in this Union and as such is entitled to all rights and courtesies of membership. The last page of the Flynn family photo album contains school photos of a young boy. The page is labelled "St Dominic School, March 1837" One photo has 1937 on the frame and it is labelled "age 8" The photo under it has 1938 on the frame and is labelled "age 9"
Jacob Dewhirst (ca 1790-1881) was my son's 4th great-grandfather. Jacob lived in Heptonstall Yorkshire and in 1816 he married Sally Sutcliffe. 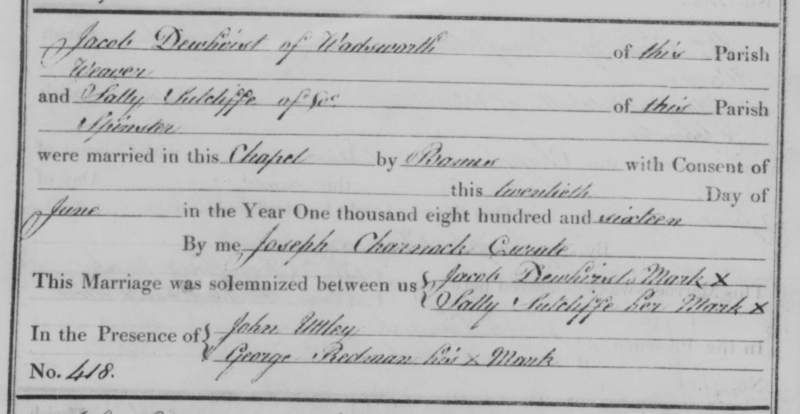 Both were of the parish of Wadsworth and Jacob was recorded as being a weaver. Neither could read or write. Family legend has it that the family is related to the Dewhurst Cotton family. Prior to joining The English Sewing Cotton Co., Ltd, in 1897 Dewhurst Cotton was known as Messers John Dewhurst & Sons, Limited. I found it interesting that his son Jacob Jr. (my son's 3rd great-grandfather) started life as a wool-comber but ended up as a "beer seller". 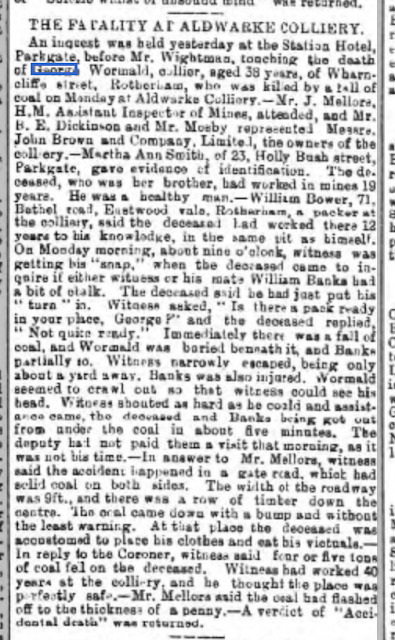 His death notice in a Halifax Yorkshire newspaper dated December 27, 1877 calls him a beer house keeper at Hope Inn. The Dewhurst/Dewhirst family fascinates me and I'm hoping to learn more about them and about Yorkshire weavers in particular. And now I want to know more about Hope Inn! One of the items that was in the treasure trove of family memories from my husband's great grandmother was a 1960s style blue photo album. But inside were photos dating back to the 1920s. 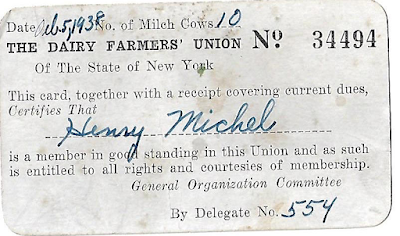 Inside the front cover is a wealth of written information giving the history of Will Elgie's farm, beginning in 1834 with its purchase from the Canada Company. Because the writing was difficult to read, I converted the photo I took to make it slightly easier on the eyes. 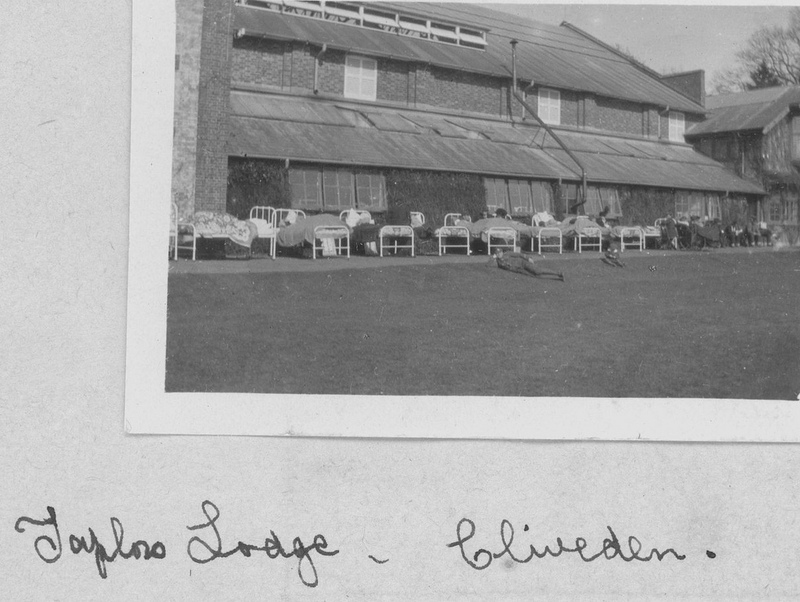 The first page of the blue Mary Facey Elgie Photo Album contains two photos. 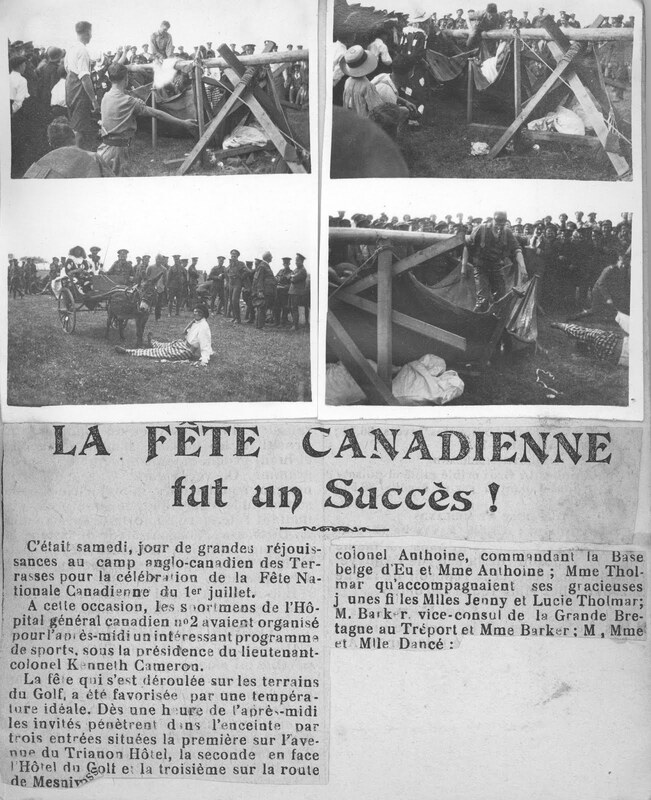 Sam Facey, who died in 1930, is in the top photo so that helps date it to circa 1920s. Sam Facey was my husband's 2nd great-grandfather. 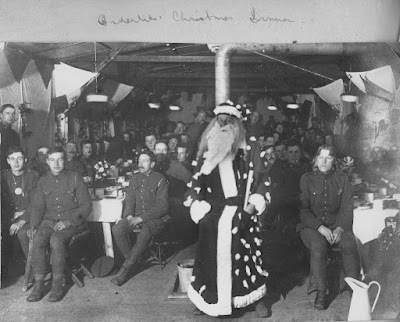 Sam was born 11 Jan 1857 in Ingersoll Ontario. In 1879 he married Margaret (Maggie) Wilford, who was born in Dereham Township. Oxford County Ontario in 1859. 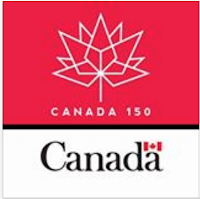 Sam's parents Edmund Facey and Mary Little, were born in Cornwall England and immigrated to Canada in 1852. Margaret's father, William Wilford was born in Cheshire England. Her mother Anne McKay was born in Scotland. 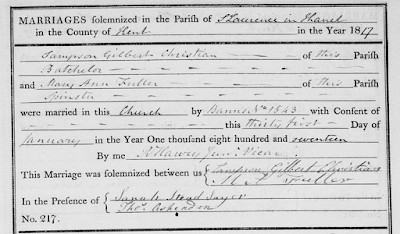 William and Annie were married in Oxford County Ontario in 1857. The photos of this tombstone on page 16 of the Flynn family photo album finally gave me the clue I need to find the family buried here. Using a photo editing program I darkened the shadows to read the tombstone inscription a bit more easily. 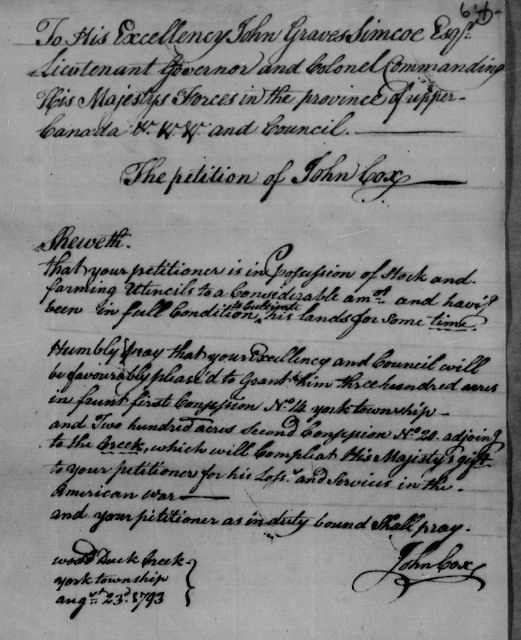 A search of Ancestry.com 's Drouin Records found the marriage of Mary Martha Bradley and Daniel Flynn in Montreal on 18 May 1886. Daniel was recorded as the widower of Mary Ann McCreary. Mary Martha was listed as the daughter of John Bradley. The witnesses were John Bradley and Michael Flynn. 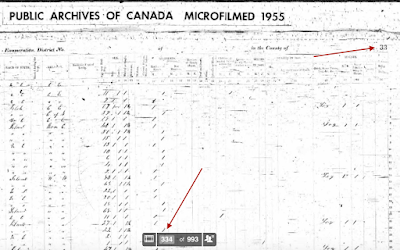 Further research showed that Daniel Flynn married for a third time to Catherine Myles and had a son Fred shown as age 5 in the 1901 census for Montreal. I believe this young boy Fred is the Fred shown on 51 Robert St on page 11 of the photo album. Fred Flynn married a Theresa and we see Fred and Theresa on that page with a young 5 year old boy named Joe. 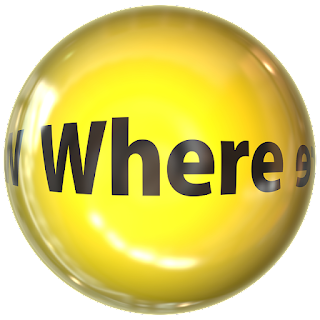 Looking for the family of Mary Martha Bradley showed that her parents were John and Ann (1881 census Hochelaga Quebec) and she had a brother Joseph born 2 years before Mary. 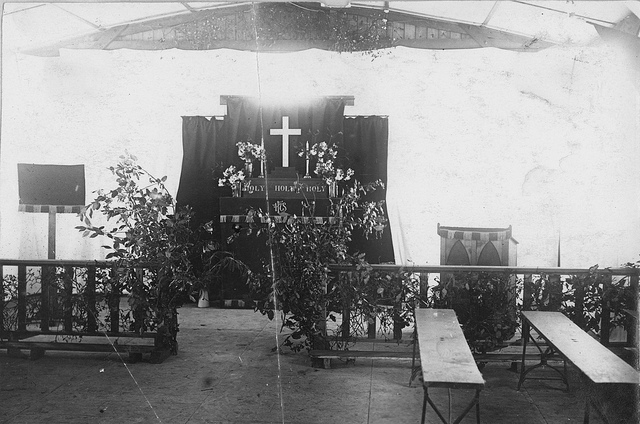 This is possibly the Joseph Bradley on the tombstone photo above. William Flynn was married to Brigid/Brigitte and they were the parents of Agnes Brigitte Flynn whose name is also found on the tombstone. William was the brother of Daniel Flynn married to Mary Martha Bradley. Interested descendants can contact me if anyone is interested in the photo album. R.I.P cousin Gail. You fought hard all your life to overcome many challenges. Life wasn't kind to you but you never let it get you down. Now you can rest easy. 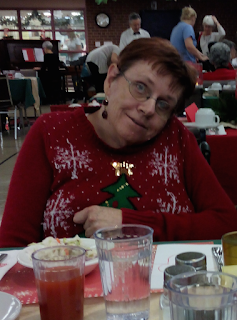 I take comfort in knowing your care over the past few weeks was kind and gentle, that you were not in pain, and that your mom and brother were with you when you passed. We saw a lot of each other as youngsters but didn't get to see each other as much as we should have once we were adults. Life took us in different directions and we lost touch for a few years. I was glad when you moved back to be with your mom because that meant we could visit now and then. The fact that your last years were more settled and that you were happy means a lot. But I'll miss you teasing me about being younger than me! You'd giggle and I'd have to remind you that you only beat me by one month. I love this photo of us with Grandma stopping me from grabbing your doll. Recently my mother-in-law passed on a huge batch of photos, documents and miscellaneous items to us. 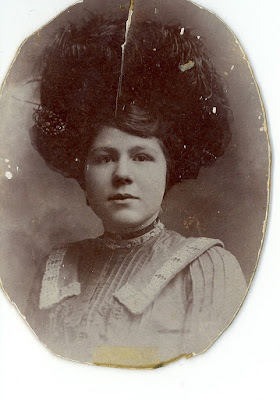 These items (including a wedding dress from 1943) appear to have come down through the generations from my husband's great-grandmother Mary Louisa Facey (1882-1973). Mary married William Elgie in 1904. One small album has Mary's name in the inside cover. But this batch of miscellaneous items came from Mary's daughter Florence Hooper. After Florence died many of her family papers went to her niece Roberta, my mother-in-law's cousin. The items may go back more generations; I won't know until I do an inventory. I did spot some photos of Mary's parents and grandparents so it's going to be fun going through everything. 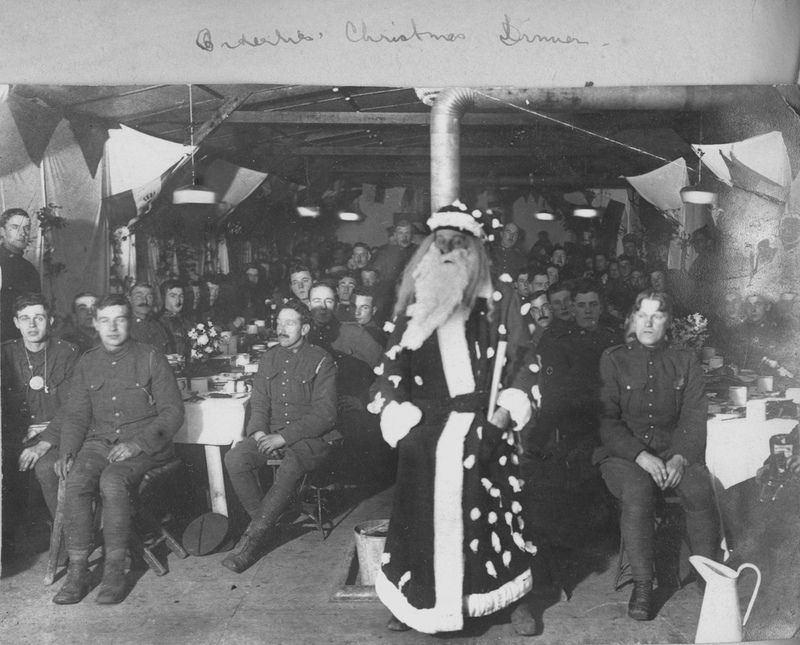 I've only had a quick glance - to be honest, the sheer number of items is overwhelming - but I did spot photos taken in the 1920s. At this point I have not decided whether or not to just jump in with the one photo album (top right of the image on the left) or do a complete inventory first. 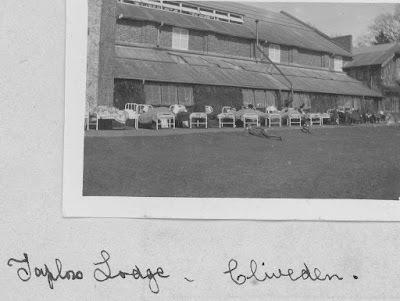 If I start with that photo album I can begin publishing the photos here on Olive Tree Genealogy blog. The few photos I removed out of curiousity are all identified on the back. What a treasure trove! So dear readers, what do you think? Should I dive in or should I methodically inventory each item first? And what on earth do we do with that 1943 wedding dress? Hubs wanted to take it to a seamstress and have little drawstring bags or cushion covers made from it. I would rather donate it to our local theatre group. Let me know what you think! This may be Toronto's oldest home. It sits at an odd angle on a residential street. Other homes on the street are tall and narrow but this unassuming stucco home is a wide bungalow. 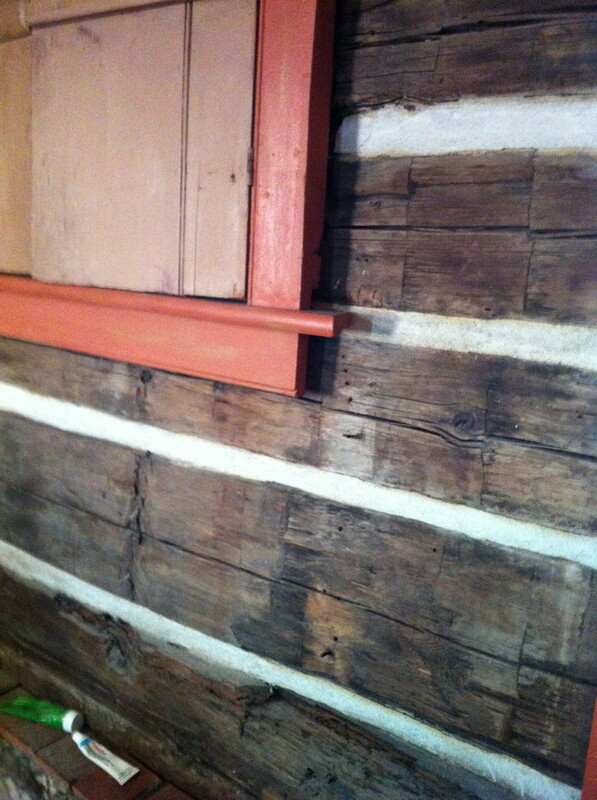 A recent visit by an electrician revealed that behind the stucco were, not red bricks as expected, but old logs. 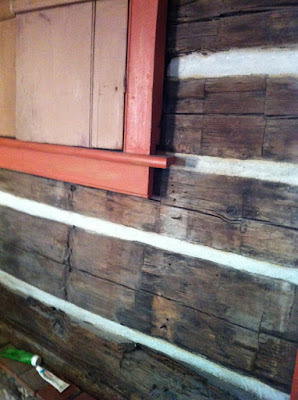 A search of land records revealed that the original owner of this log home was the Loyalist John Cox who was granted the land in 1796. The log home was built sometime between 1796 and 1807 when John Cox died and his widow Mary sold the land. Patricia Greber, of My Genealogy Life, challenged Canadian genealogists to celebrate Canada's 150th birthday by listing all our ancestors that were living in Canada in 1867, the dates they arrived (can be approximate) and where they first settled. 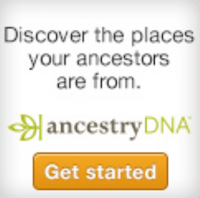 Here's who was here from my ancestors! Note that they are all from my father's side as my maternal side came from England in 1914.